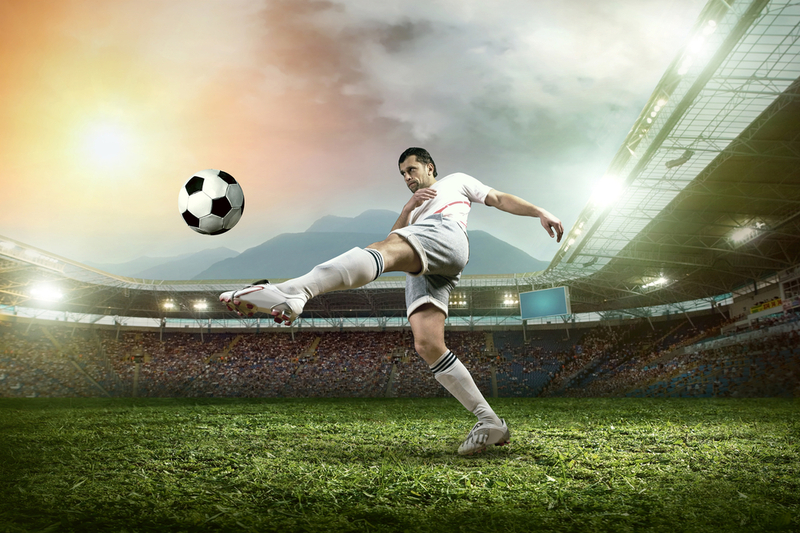 Football is among one of the world’s most popular sports. It is a very profitable business for Football Clubs, and a passion for many thousands of dedicated football fans. Due to its popularity and importance special rules and procedures have been designed for when things go wrong, either on or off the football pitch. The point of this article is to introduce specifically, what it means for a football player to be charged with Misconduct, and to discuss the process of how a charge is dealt with by the Disciplinary body and the procedure available to appeal a finding of a breach of the disciplinary rules. See more of our guides in our Sports Law Guide section. Who makes the rules in English football? How is an alleged breach of disciplinary rules dealt with? Is there any appeal process for a conviction for breaching Disciplinary rules? All sports have a governing body that designs the rules for how their particular sport is to be played, which are often called the ‘rules of the game’. English football is no different in this context, and its governing body is the English Football Association (EFA). The EFA was created in 1863 and is headquartered at the world renowned Wembley Stadium in London. As the body responsible for football in England, the EFA is charged with governance and disciplinary issues. Every season it produces a document called ‘The FA Discipline Handbook’ which details how football is to be played in England, and the various sanctions against unprofessional behaviour by the sports players, managers, coaches and even Football Clubs. It should be noted that while the FA designs and has overall responsibility for disciplinary procedures in English football, it is the County Football Associations that are responsible for handling disciplinary complaints, carrying out the necessary investigations and issuing penalties. The rules of any Competition or Association that is related or affiliated with the EFA. A breach of the rules of English football can occur rather easily – it can even occur through as a result of a heated debate between a football player and a match official. It is for this very reason that all participants in football must be very aware of their behaviour and how they conduct themselves when participating in games. Allegations of misconduct or any other breach of disciplinary rules will obviously only arise after an incident has happened, normally during a football match. As mentioned earlier, an allegation of Misconduct can cover many things e.g. a player being sent off from a game and using bad language against an official. It will normally be the case that most claims of a potential breach of the rules, because of its very wide definition, will be deemed to be a complaint of potential ‘misconduct’. After an incident has been documented, a report will be issued to the County or local FA, which will then consider the terms of the complaint and decide whether there is a misconduct charge to be issued. Generally the County FA will receive this report from a match official, however, this need not always be the case. If there has been an incident at a football game that a football coach, player or spectator has witnessed then they may detail this in writing, and send it to the County FA for further investigation. It is also important to note that having reviewed the evidence that it is presented with the County FA has the power to raise any charges that they deem appropriate. If a club or player is issued with a misconduct charge they will receive a charge letter, response form and any evidence that the County FA have received in support of the claim for misconduct on which they have based their decision to issue the charge. Any party that is charged must ensure that they provide a reply within 14 days of the charge being issued. I am pleading guilty to the charge and I wish the case to be dealt with in my absence. I request any correspondence that I have submitted to be considered and I await the decision of the Disciplinary Commission as to my punishment. If a party elects for this option then the Commission will consider the details of the case, along with any documentation that has been sent alongside a plea of ‘guilty’. The Commission will also take into consideration the disciplinary record for the previous five years of the party in issuing its decision. I am pleading guilty to the charge and I wish to attend a Disciplinary Hearing to enter a verbal plea for leniency. The hearing fee in addition to the administration fee is enclosed where applicable. I am aware that I am accepting the charge and I will not be able to question the basis of the charge and that the match officials will not be in attendance. Where a party admits to the charge and elects to attend a Hearing, they will have the opportunity to enter a ‘plea in mitigation’, where they can ask the Commission to take into consideration any extenuating factors in making its decision. I am pleading not guilty to the charge, and I wish the case to be dealt with in my absence. I request any correspondence that I have submitted to be considered and I will await the decision of the Disciplinary Commission. If a party disagrees with a charge and wishes to challenge it, but does not wish to be present at the hearing, they must provide the Commission with all of the necessary paperwork that they want the Commission to consider. If the Commission is satisfied that there is no guilt then the case will end. If not, then the Commission will consider the disciplinary record of the party charged and issue its decision. I am pleading not guilty to the charge, and I wish to attend the Disciplinary Hearing. The personal hearing fee and the administration fee are enclosed where applicable, together with the written reasons as to why I am requesting a personal hearing and the number of witnesses I intend to represent me, along with any other documentation to be considered. Where a party challenges a misconduct charge and wishes to bring witnesses to argue their case, they must provide the Commission with the witnesses details along with any other documents that the party wishes the Commission to consider. A hearing will then be arranged. If a party fails to respond to the notification of a Misconduct charge being made against them, the case will be passed to a Commission to consider. Furthermore a failure to reply to a charge means that a party will forfeit their right to have a personal hearing. Once the Commission has considered the papers and makes its decision, this will be issued and communicated by the County FA to the party concerned. Breaches of the Disciplinary Rules of the FA are treated very seriously. If it is admitted or proven that a player has breached the relevant disciplinary rule, then the Disciplinary Commission will impose a sanction. The powers of the Commission are wide ranging in this respect, and it is entitled to administer whatever sanction it deems appropriate in the circumstances. However this power is restricted by the availability of an appeal mechanism on the basis of proportionality, which is discussed further below. It was mentioned above that the FA Disciplinary Commissions enjoy a great deal of discretion in administering sanctions for breaches of disciplinary rules. The FA does however provide a detailed guide on the kind of sanctions that players can expect to follow a finding, that a breach of a particular rule has occurred in the ‘Disciplinary Sanction Guidelines’. This document is updated every football season. It is important to remember however that this document is not a bible, in that it does not detail what sanction a Commission must hand down in the event of finding a breach of the rules. It merely exists to be a guide for players on what the likely punishment will be in a standard case. The Commission will be aware of what the FA has stated in these guidelines but will need to consider the facts of the case and any extenuating factors before it decides on the relevant sanction. Premeditation – Disciplinary Commissions take a rather dim view of players who plan out there actions in such a way as to either avoid being caught or increase the success of their misguided actions. Targeting of an individual – This relates to conduct both on and off the football pitch. A Commission will consider any evidence that demonstrates that a player had identified someone/ something in particular as being the target of their behaviour. The Commission will also consider evidence that is gathered from social media e.g. Facebook comments. Previous poor record – The Disciplinary Commission will not be as lenient in administering punishment where it finds that it is dealing with a player that has a history of failing to observe the rules of the game. Previous good record – While the Disciplinary Commission is only allowed to take into account the previous 5 years of a players history, evidence of good behaviour and professionalism can be taken into consideration. Personal issues – The Commission is entitled to take into consideration any personal or family issues that a player has been experiencing. However these will be different for every player, and may only be brought to the Commissions attention at a hearing. Medical circumstances – Contrary to what many may believe, medical conditions are not considered a factor that will determine a players liability for a breach of the rules. A Commission will have due consideration for any medical issues that a player may have, and this will be reflected in the punishment it decides on. It is possible for a conviction by a Disciplinary Commission to be the subject of an appeal, but there are strict deadlines that need to be followed. Within 14 days of a conviction for a breach of the disciplinary rules being issued by the Disciplinary Commission, any party hoping to challenge the decision must write to the FA Headquarters and detail why they believe that there are grounds for an appeal against the decision of the County FA. This is called a ‘Notice of Appeal’. It is important to be aware that under the FA rules, there will only be reason to consider an appeal against a conviction for breaching the disciplinary rules if the sanction against a party was in excess of 2 matches and/ or a £25 fine. It should also be noted that the process of attempting to appeal a decision is not free, and will require players to pay £100 before the FA will consider the appeal. Imposed an award, order or other sanction that is excessive or disproportionate. Order that any costs, or part thereof, incurred by the Appeal Board be paid by either party or shared by both parties in a manner determined by the Appeal Board. Another important point regarding how the appeals process of the FA works is that the appeal will not be a re-hearing of the entire case. The FA Appeal Board will not ask that all of the details of the original case are re-heard. It will only consider the aspect of the decision that is the subject of appeal, based on the criteria mentioned above. Furthermore pending the convening of the Appeal Board, a player that has been convicted by the County FA will still bear the conviction on their disciplinary record – evidence of disciplinary action having been taken against a player can have implications for their future prospects. If a player wishes to have the initial conviction set aside pending the appeal, they must write to the FA and request this. However it should be noted that the FA is not obliged to set the decision of the County FA aside. All of this information is available from the website of the FA at www.thefa.com. If a party fails to respond to the notification of a Misconduct charge being made against them, the case will be passed to a Commission to consider. A failure to reply to a charge means that a party will forfeit their right to have a personal hearing. The FA Disciplinary Commissions enjoy a great deal of discretion in administering sanctions for breaches of disciplinary rules.